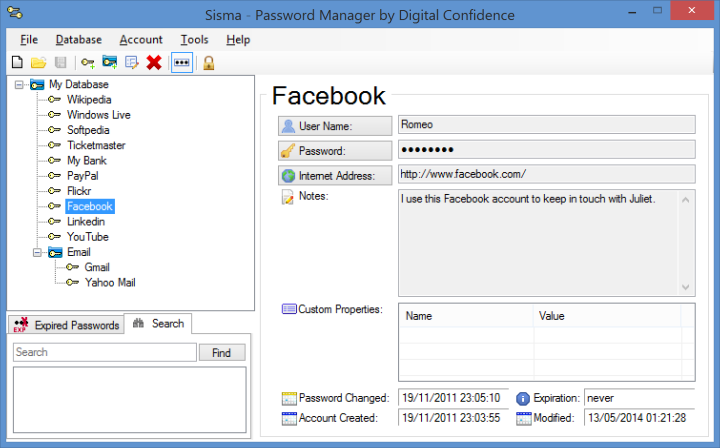 Sisma is a simple password manager with password expiration, generator, strength check, and reuse warning. The program can clear passwords from the clipboard after use and export or import from other password managers. Uses AES-256 encryption and exports to HTML, CSV, and XML formats. How to extract: Download the "Portable" ZIP package and extract to a folder of your choice. Launch Sisma.exe. 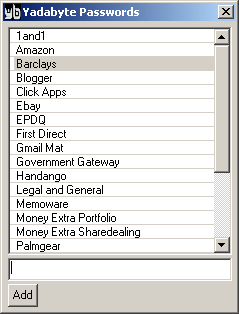 Yadabyte Passwords is a minimalist password manager with a simple interface. It encrypts your sensitive information using 256-bit AES. Internet Archive link does not work. I did manage to download the ZIP file from Softpedia.